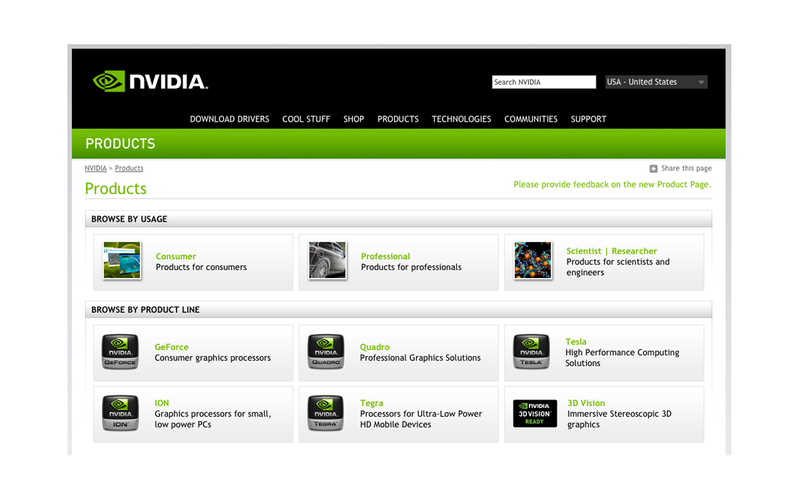 The NVIDIA Product index project involved redesigning the company website’s product browse experience. 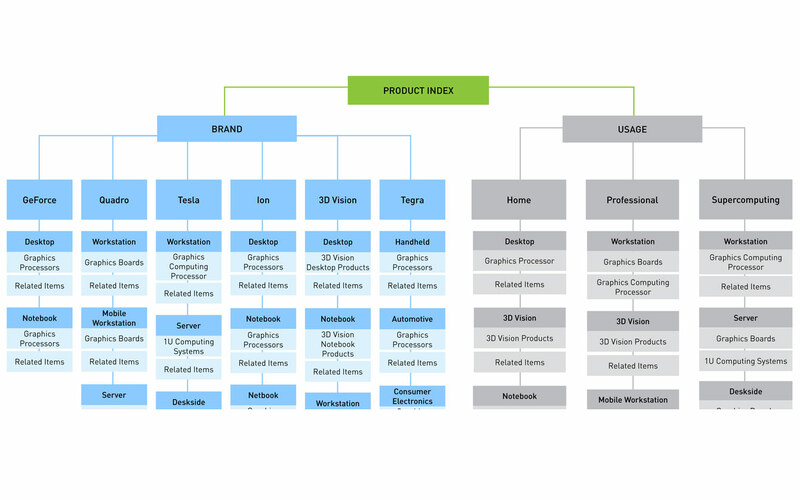 We aimed to increase visitor click-through to product pages by moving from a plain text list (which had little organization and redundant links) to a layout that better described NVIDIA’s product offerings, hierarchy and breadth. 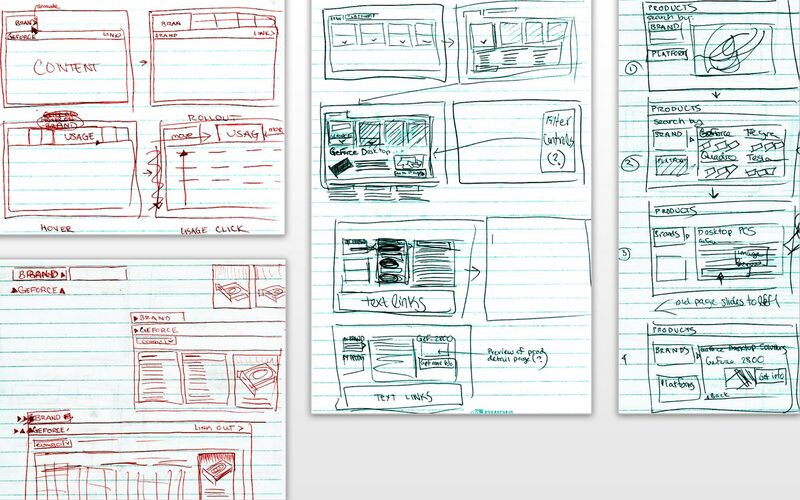 I collaborated closely with business owners to develop usage scenarios and a content structure. 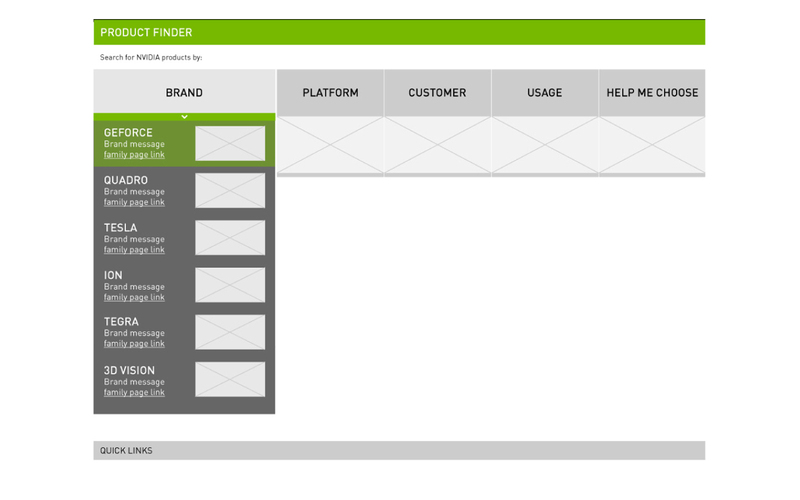 Through a highly iterative process of prototyping using Adobe Flash Catalyst alpha, I explored multiple ways that visitors could traverse product content. Ultimately we settled on a simple, visual approach that allowed visitors to browse products by context of use or brand name. We surfaced teaser information about each product in tooltip form so that users could make an informed decision about which product pages to visit.